Page with all bought products by customer. No customer authentification is required to use the page. There are many stores and products in the Internet world and customers want to buy the qualitative product. Obviously, customers can get confused on a number of products. That's why most of them rely on other customers experience. They start searching products with good reviews. No doubt that a lot of reviews will help your store to achieve the best results in sales and clients attraction. 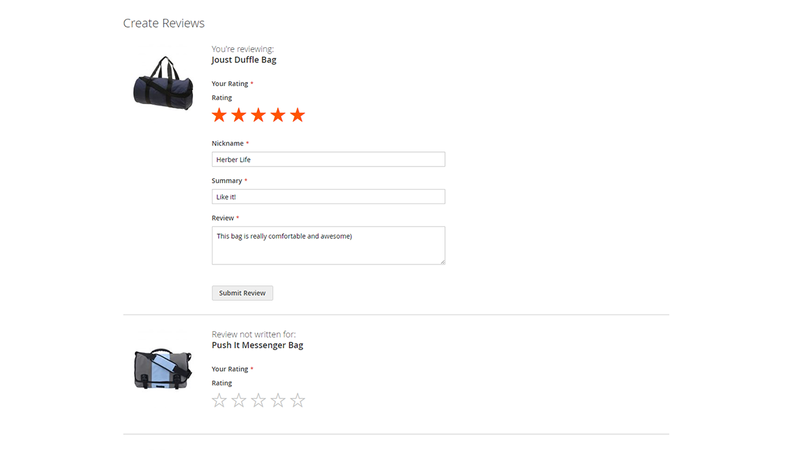 So the question is how to make more reviews on your store, how to ask a client to leave a review for the ordered product. We have an intelligence solution for you. 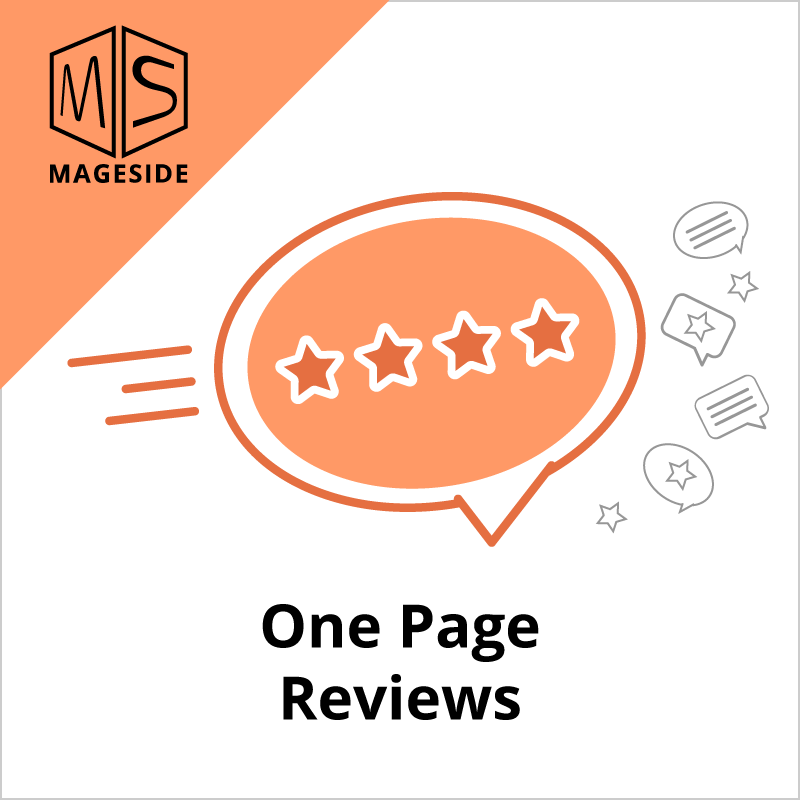 It is One Page Reviews module for Magento 2. 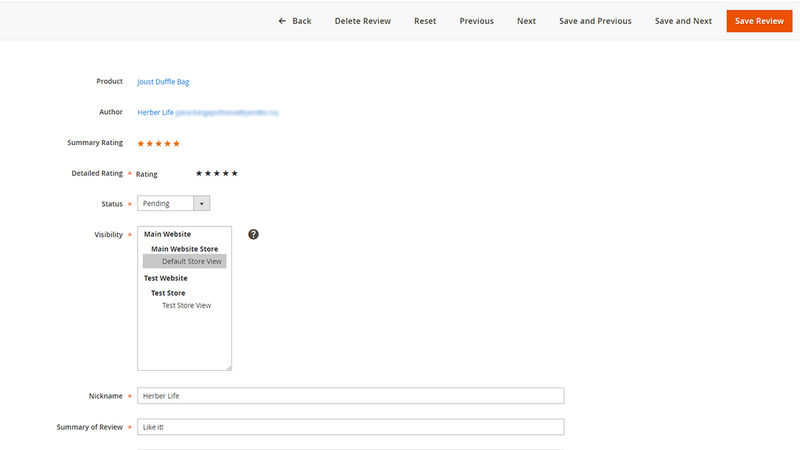 The extension allows sending to customers a reminder email to leave a review for bought products after a number of days after purchase. 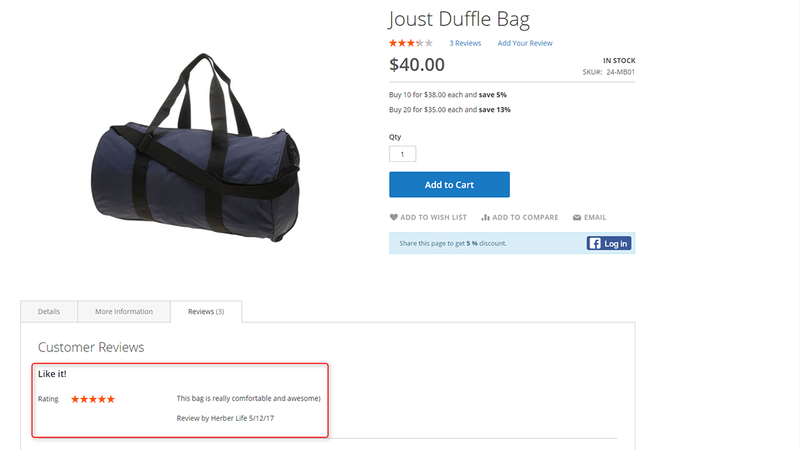 For example, you have a customer who bought two products from your store. 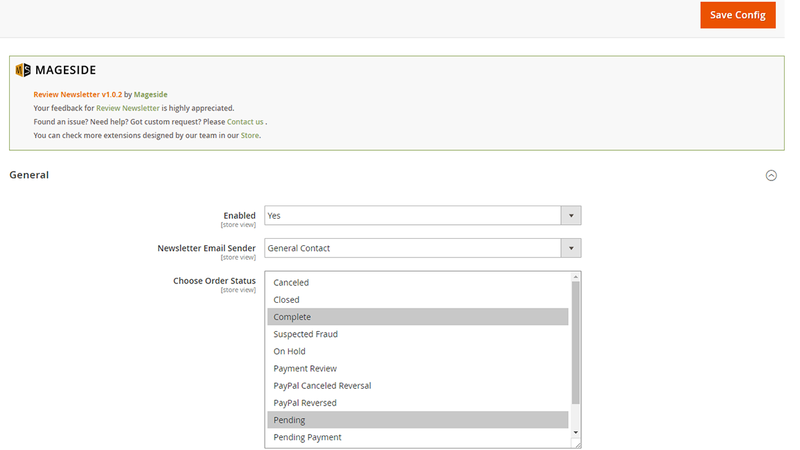 You configured the extension to send emails in 2 weeks after order is placed. So in 14 days, the client will receive an email where he/she will be asked to leave a review for the ordered newsletter. Also, if this customer has other orders before the last one, the email will contain a few of such products as well. Finally, when the customer decides to leave a feedback and proceeds to your website via the link in the email, he/she will see a page with all bought products. 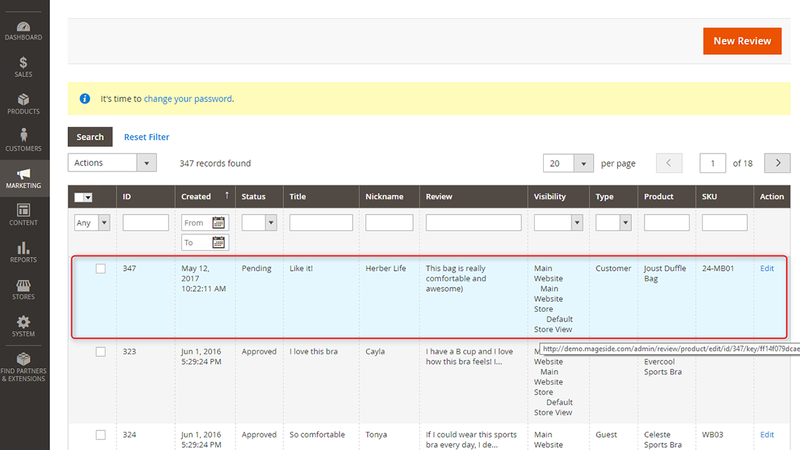 Here the client can quickly leave reviews for all products without leaving the page. Authorization is not required as the link contains a unique token. One page with a collection of all bought products by customer. No authentification is required to leave reviews. Set up a delay before sending emails. 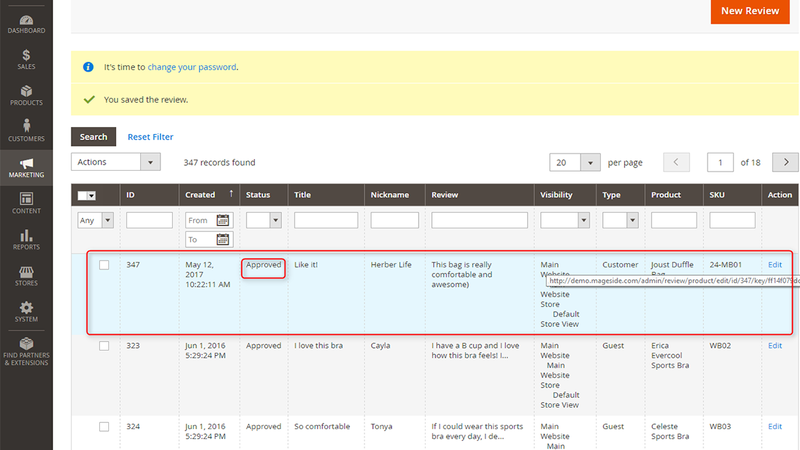 Set up the day and time when customers receive the email reminder to leave a review on your website. 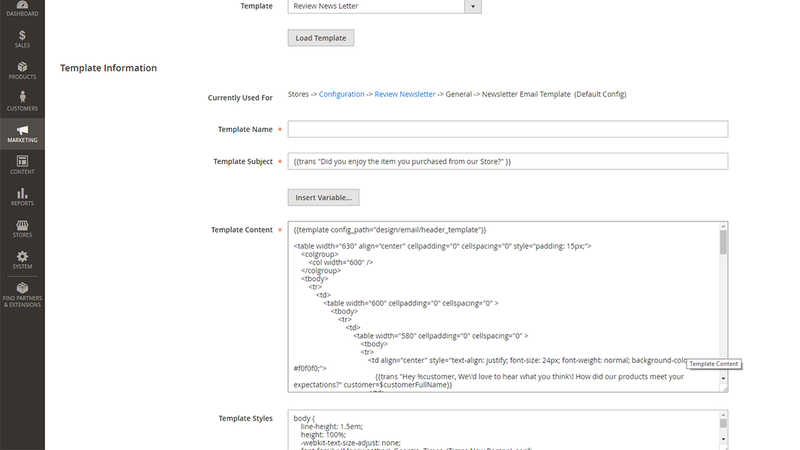 Set up styles, fonts, colors for reminder email template. 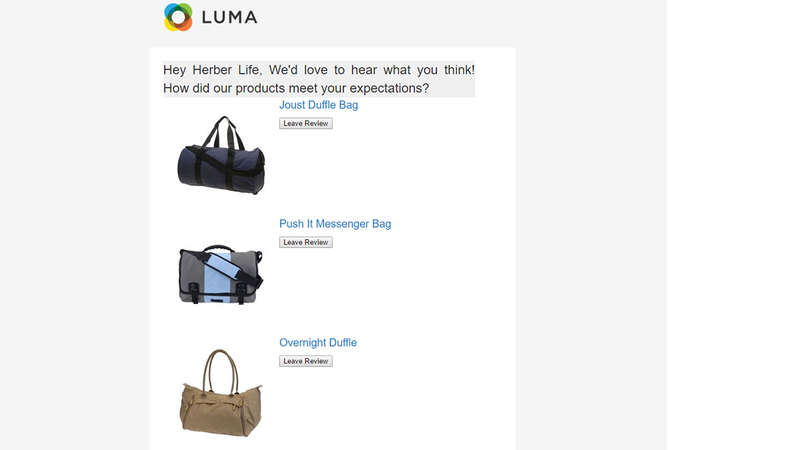 Specify the number of products for recently bought products block and these products will be shown in review newsletter. 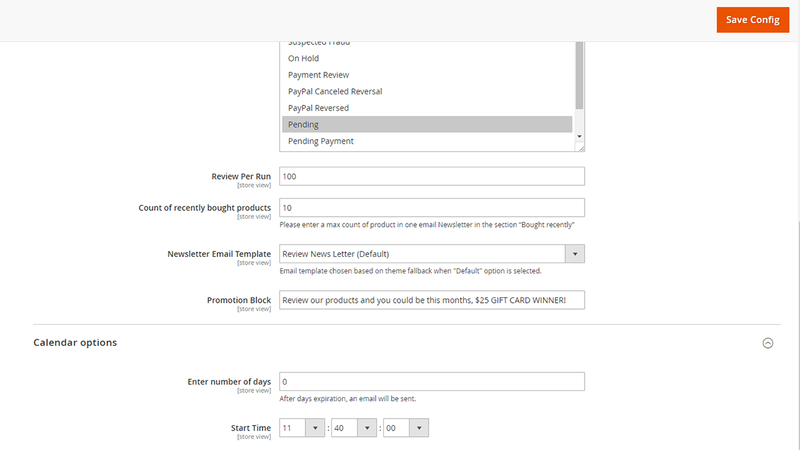 Add promotion block to the email template. You can motivate and encourage your customers to leave more reviews. Easy to configure and works fine. Nice support - have answered me in a blink! very good extension and the support is excellent! after going around the review newsletter extensions in the market, I ended up buying this one because it is the best and the one that has the most useful functions. the extension is great and the support is excellent!